Interested in joining the FeraDyne Pro Staff? Click on one of the links below for more information! We’ve got 2 great Staff opportunities for you that encompass all of the FeraDyne brands. No one will be accepted to both staff programs – if you actively do both, that’s cool – just apply for what you do most! My favorite animal to hunt: Having hunted everything, there’s nothing smarter than a coyote. So for me its hands down the coyote. Knowing I outsmarted the wisest animal and hearing the slock of my arrow hitting a coyote is priceless. My favorite place to hunt: Arizona. Due primarily to the diversity of abundant predator species. You never know what will step out, from a bobcat, bear, lion, coyote, or one of the numerous fox varieties. My best hunting memory: Watching my kids harvest their first whitetail with a bow. 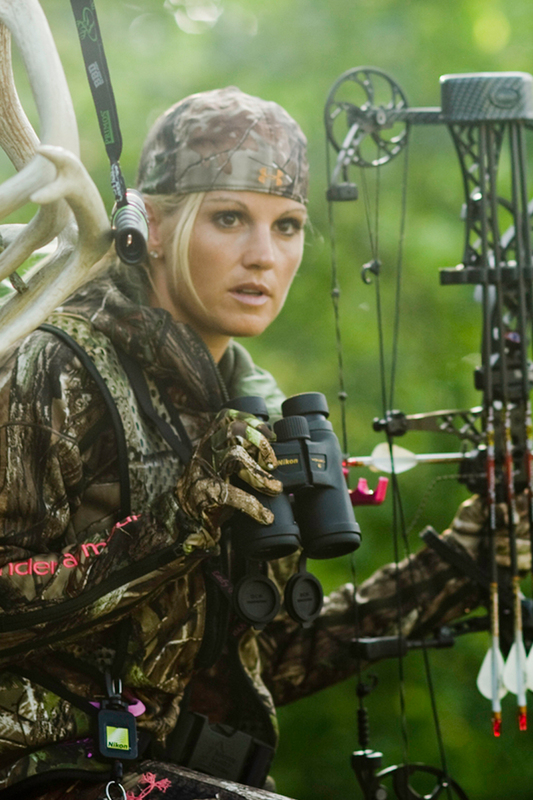 There is nothing that even comes close for me than the vivid thought of those couple hunts. My best hunting memory: Taking down my first deer with my dad in North Carolina when i was 7 years old. this was really the start to my love for the sport of hunting. without dad getting me out that early in life it is hard to say what i would be doing today. 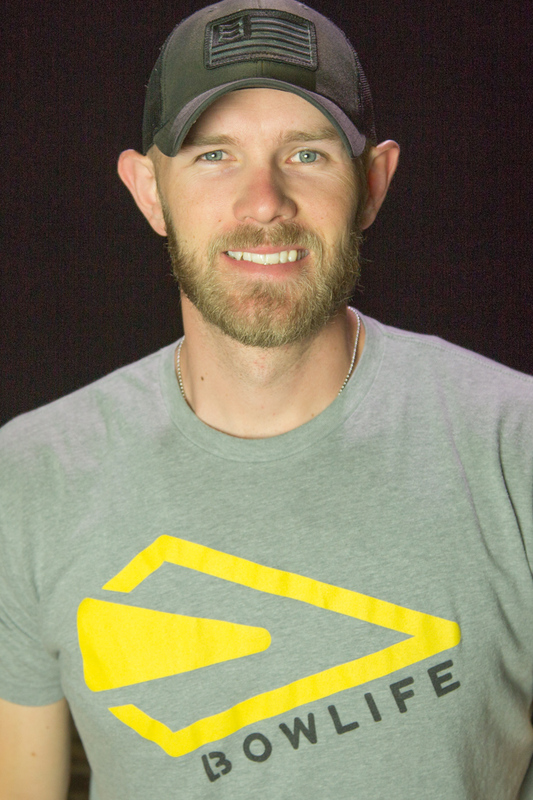 probably not guiding and hosting outdoor tv. My favorite animal to hunt: Brown Bear. My favorite animal to bow hunt is the brown bear. I have taken 3 Alaskan brown bears and 2 grizzly bears in my career and each hunt is more exciting than the last… The excitement of watching an apex predator close the distance on a remote beach is pure adrenaline. Bowhunting these dangerous bears requires nerves of steel and the challenge of getting close to a mature boar is often very difficult. My favorite place to hunt: Africa. All the countries of southern Africa are amazing. 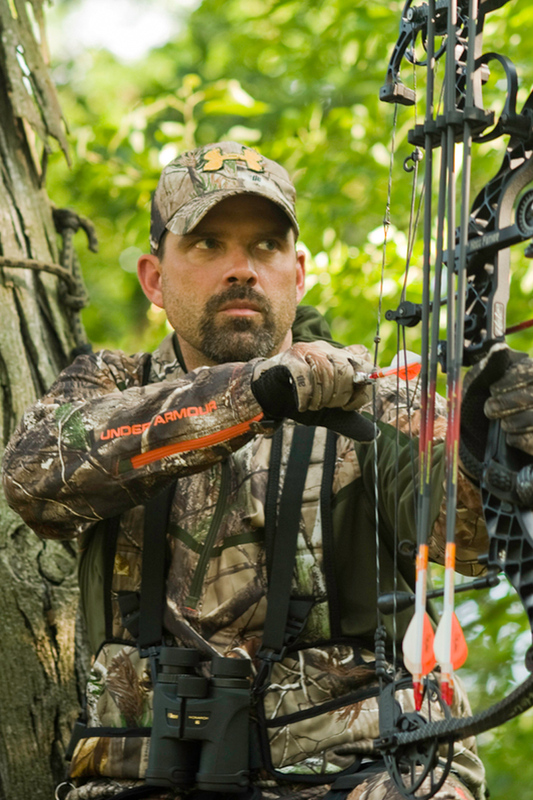 Zimbabwe, Zambia, Namibia, Mozambique and South Africa offer amazing bowhunting opportunities. Everything about Africa is Adventurous…. The animals, the terrain, the climate.. even the sun and moon look bigger in the sky when your in Africa. The animals are all unique and there are many hunt-able species… I have traveled to Africa to bow hunt 46 times and been blessed to arrow Africa’s big six. Elephant, Hippo, Rhino, Cape Buffalo, Lion and Leopard. My best hunting memory: Desert Sheep. 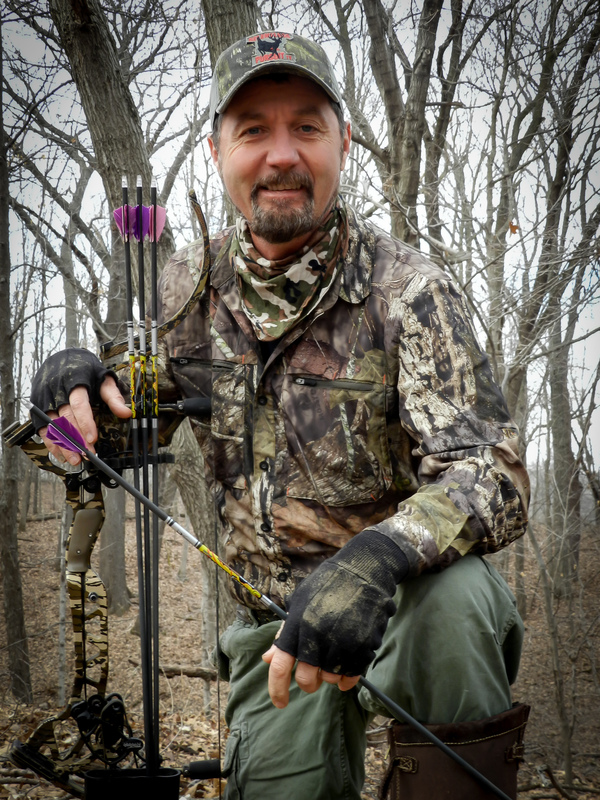 Having been a TV bowhunter for 30 years….. I’ve gotten to go bowhunting a lot! I’ve been blessed to take well over 100 different animal species….. several of most.. including 60 whitetail bucks on video. My career is full of awesome hunting memories. One of my favorite hunts was a trip to Mexico for desert bighorn sheep. 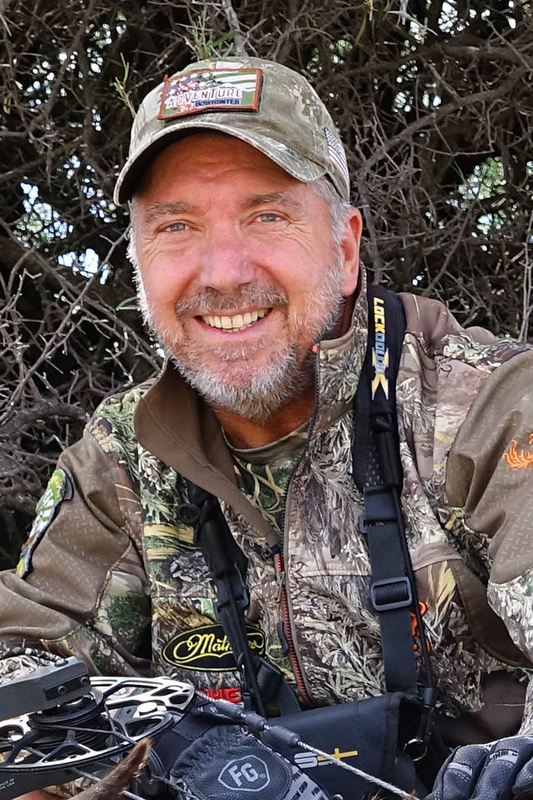 I had been to Mexico 3 times previous for sheep and not connected.. on this 4th trip I arrowed a fantastic ram the first afternoon of the hunt….. a ram that completed my 13 year quest to document the archery Super Slam on video. So with one arrow…. I completed the wild Sheep archery Grand Slam and North American archery Super Slam. A pretty fantastic hunting memory! My favorite animal to hunt: Alaskan-Yukon Moose or Elk during the rut. 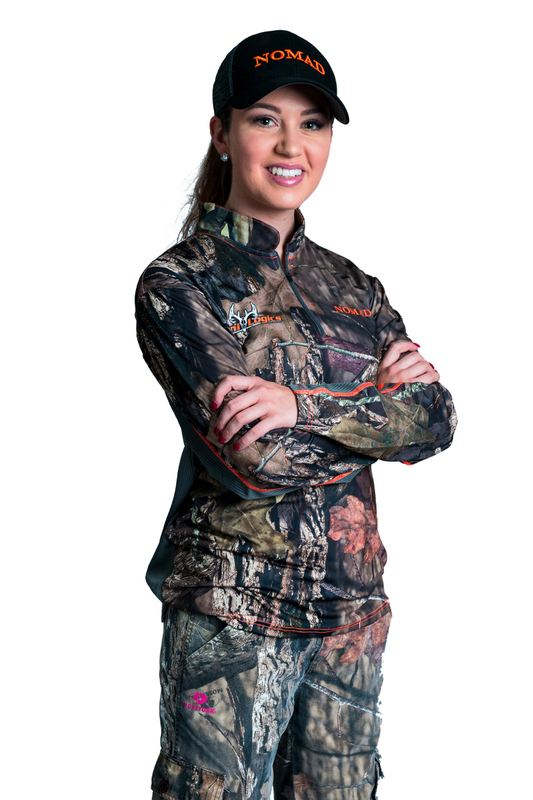 My best hunting memory: Anytime I’m hunting with my dad or my husband! My favorite animal to hunt: I grew up with whitetail and turkey being “the” animal that we hunted every year. Big Game, such as elk and moose were only a dream for me as a kid. Having the opportunities, I have been blessed with currently, the rocky mountain elk takes the cake for me hands down. From the sites to the sounds and the hunt itself, there is no other animal that gets me that adrenaline rush, like a 1000lb bugling bull elk. My favorite place to hunt: We are fortunate to get to travel all over the US hunting all different types of animals. But for me, when I get to come home, be with my family and hunt what most would say is the toughest animal on the planet to hunt. Whitetail in Ohio is where I want to be. My best hunting memory: My greatest memories in life are the ones spent hunting with family and friends no doubt. But the one that sticks on my head as #1 to this date and will probably remain there forever. Is the day I shot my first mule deer buck in Montana. It was with 2 of my best friends, Jason Matzinger and Jason Kalafut. I was hunting out west, which I had never done before and made a 1 mile stalk to the top of a butte that stood out like a sore thumb. With absolutely nothing else around it but sage and dirt, this buck sat in the shadows at the very top. I stalked to within 5 yards of that buck and made a perfect shot. My first western animal, an unbelievable hunt and episode 1 of our very first season which kicked off our television series. By far my best hunting memory and one that I am very thankful for. My favorite animal to hunt: Being from the Northeast, Whitetail was always the most popular animal to hunt and to me the most challenging. Even after I chasing some different critters across the Country to me there is still nothing like playing a chess match with a big mature whitetail. 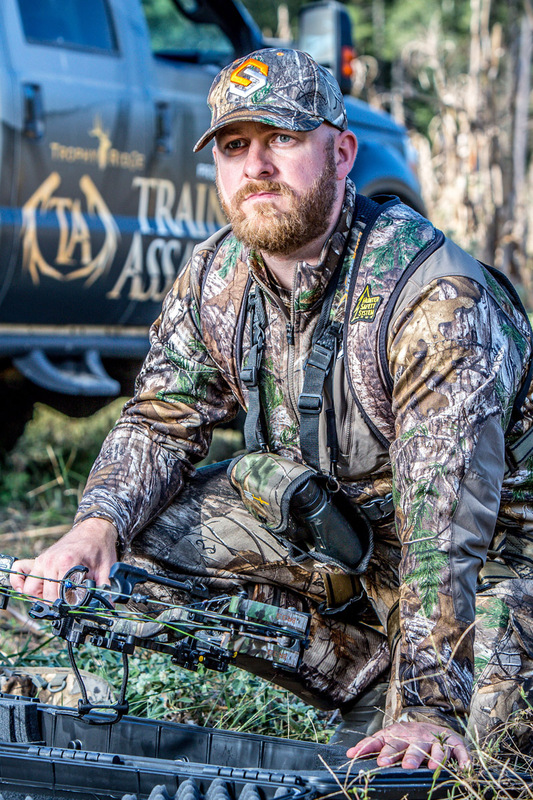 My favorite place to hunt: I always dreamed of chasing Elk as a kid so when I got to chance to hunt Elk in Montana I jumped at the opportunity, to this day there is not a trip or place I look forward to more. My best hunting memory: My greatest memory is still my first Ohio whitetail hunt, I chased a certain buck for days having multiple encounters throughout the week. After hanging a set where I thought the buck was spending most of his time, I waited for the next morning planning to sit all day. At 10:00 in the morning I watched the buck come from 200 yards away right to the base of my tree, it was the oldest buck I had ever harvested and I was lucky enough to share that moment with my father. Looking back, I think that hunt is a big part of why I live in Ohio today. 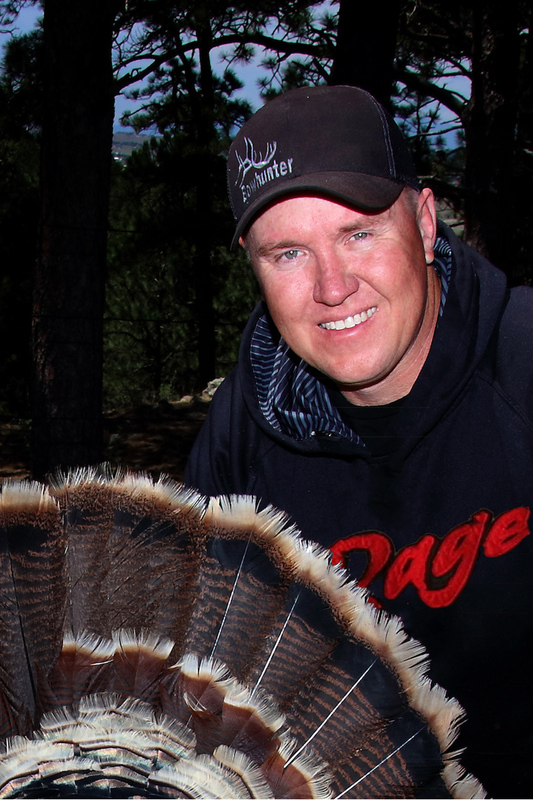 My favorite animal to hunt: For me I love chasin ‘em all but if I had to pick one, it would be turkey in the spring! I just love yelpin at a turkey, the interaction and everything about it. For me it's hard to beat, but Whitetail and Elk are right up there with it! I just love all hunting! My favorite place to hunt: We are blessed to travel all over this beautiful country and hunt some truly incredible places, but I'd have to say my favorite will always be at home in the PA mountains. 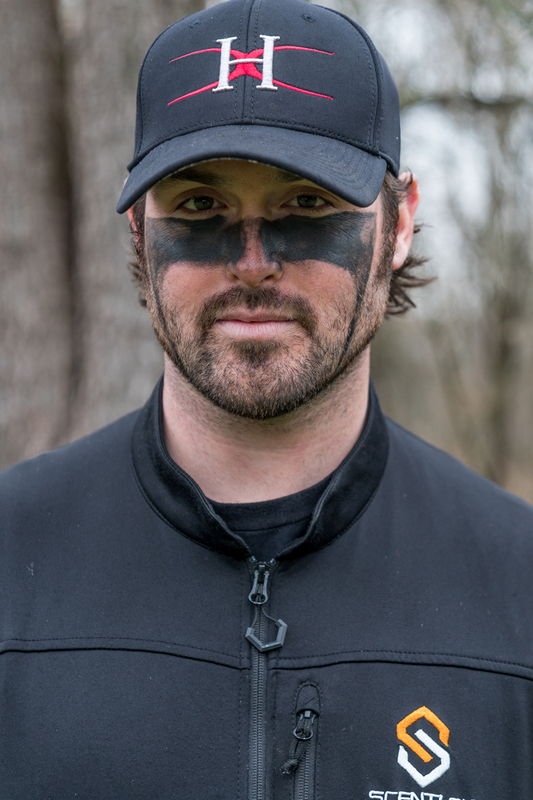 Reason being, it's the woods that taught me to be a hunter, to respect animals, the outdoors and all God’s creation. It's just always special to go back to your roots and hunt your home turf. My best hunting memory: This is a tough one because I have so many memories in the woods I'm thankful for. However, my first buck is very special to me. I was sharing the woods with my grandpa who taught me when I punched my first buck tag. I can remember screaming out loud in the woods I was so pumped, and him hollering at me to hush up because he still had a tag. HA! It's a hunt, a deer, a moment, a memory I will be forever grateful for! My favorite animal to hunt: From an early age I've been consumed with hunting elk. My dad started taking me with him to Colorado when I was only 7 years old and that lit a fire in me that's never burned out. My favorite time of year to hunt elk is during September during the rut. My favorite place to hunt: My favorite state to hunt elk in is New Mexico. Last year I was lucky enough to shoot my best bull to date in western new mexico. New Mexico is a place I try to go back to each and every year for elk. My best hunting memory: My best hunting memory came last year when I finally got to wrap my tag around a giant bull in New Mexico. For years I had got so close to so many giant bulls with my bow but for one reason or another I never got it done on a giant. Finally last year in New Mexico it all came together and I was finally able to put my tag on a world class bull. My favorite animal to hunt: When it comes to hunting, chasing bugling bull elk during the rut with your bow is in a league all its own. In terms of sheer anticipation, adrenaline and magnificence, nothing else really compares. 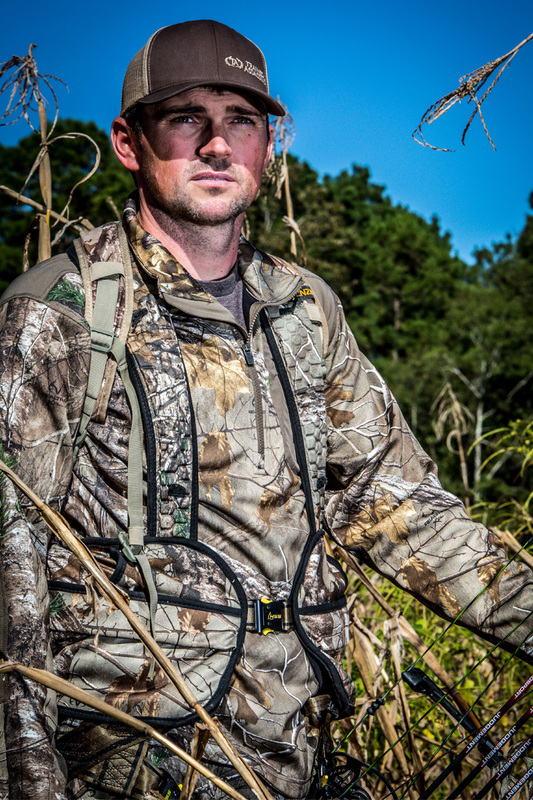 My favorite place to hunt: That’s tough because I appreciate so many aspects of so many different settings. If I had to narrow it to one setting, I have to say anything above timberline in the Rockies. That’s still fairly broad, but it’s as specific as I’m willing to get. My best hunting memory: I have several favorite memories, but if I had to pick one I’d go with the time my dad arrowed his biggest bull elk ever on my birthday. We worked our tails off that day, but it was my best birthday ever! My favorite animal to hunt: Obviously whitetails however, sheep have become a close second and there’s nothing like spot and stalk mule deer hunting! My favorite place to hunt: Iowa! There’s no place like home! Also, every dime that we have ever made has gone to making our habitat the best it can possibly be! My best hunting memory: This is a tough one as they all mean something special and I know it will just keep getting better as Cameron and Raygen start hunting with us. I love when Tiffany shot her first deer as she started to share her passion with me. But if I had to pick just one, my Kodiak brown bear was amazing! My favorite animal to hunt: Just like Lee I love to hunt whitetails especially since that was the first animal that I ever harvested and there’s just something about being able to walk out you back door and hunt. 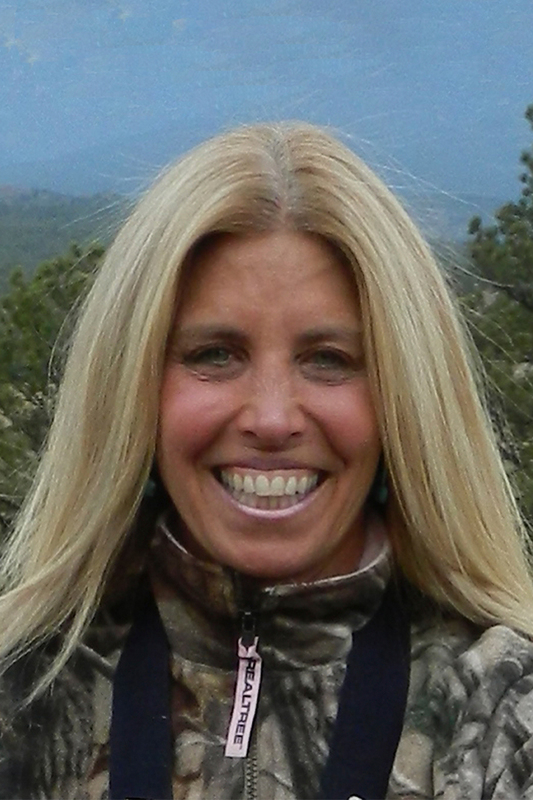 But I also love heading out west every fall and have developed a passion for hunting elk! My favorite place to hunt: Iowa! Just like Lee, there’s no place like home and no other place that I’d rather be hunting especially when I’m with Lee! But I also love the mountains. My best hunting memory: Every hunt has a memory all of them are great! It’s so hard to just pick one! My favorites always include when Lee and I are out there together no matter if we are successful or not. Of course as our kids get older I know it will just get better as Cameron and Raygen start hunting! My favorite animal to hunt: There is nothing like the bugling of a bull elk, especially at close range when you know a shot is imminent. All other bowhunting is a notch below elk hunting. 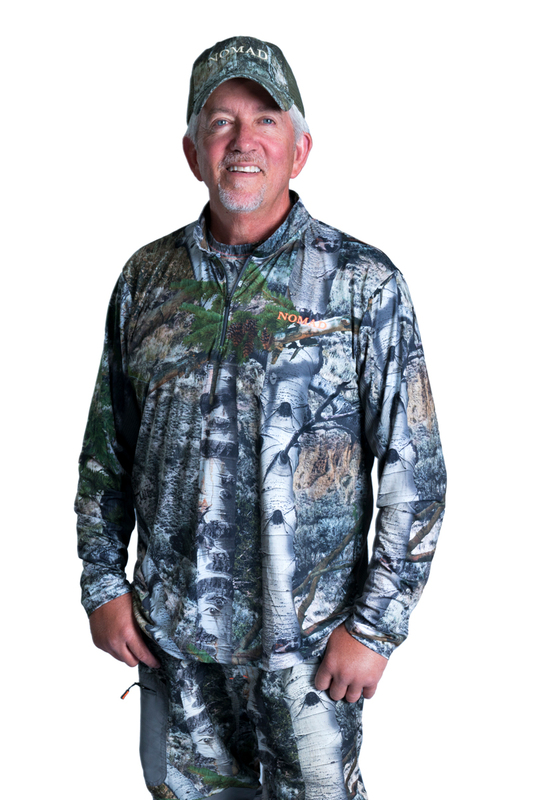 My favorite place to hunt: That's like asking which of my sons I like best but I'd probably vote for the Yukon Territories because I love true wilderness and there is lots of that there. 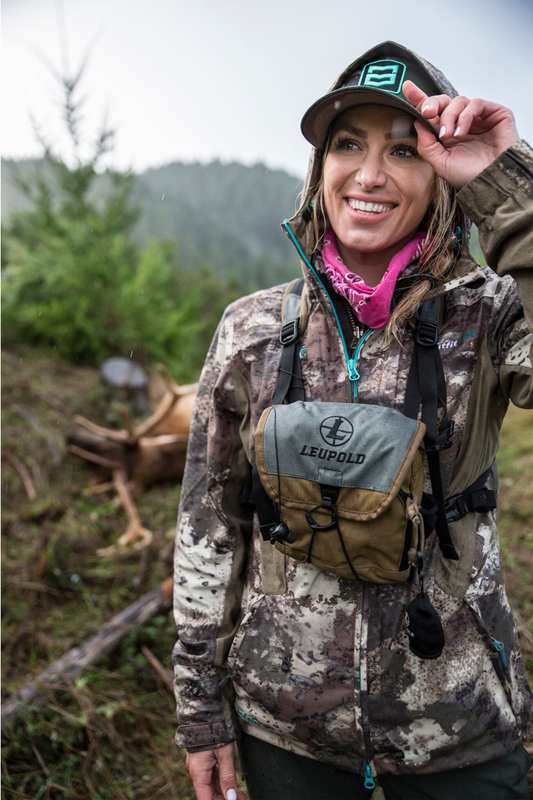 My best hunting memory: Using a Larry D. Jones elk call to lure in my first bull elk stands out as a watershed moment for me. 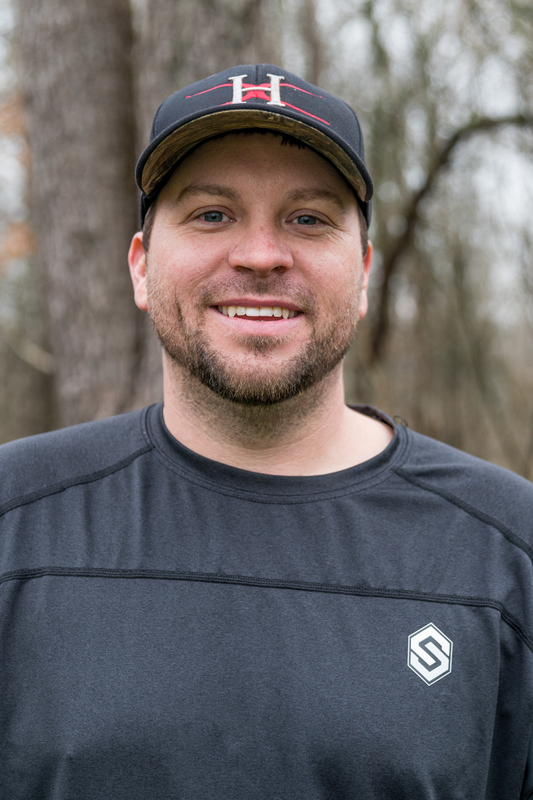 I wrote my first magazine article for Bowhunter Magazine on that experience and it led to a life of elk hunting and writing. My best hunting memory: As a Dad, watching Taylor take her first buck with a bow was one of the highlights of my life. My favorite place to hunt: There’s no other place I’d be chasing whitetails than on my Missouri farm. My best hunting memory: There have been so many great moments in the field over the course of my life, but by far, the very best have come when I’m hunting with family. My best hunting memory: It’s kind of a toss-up between my first bow kill and killing a buck we had nicknamed “Super Star” that went 184 inches. My best hunting memory: Hands down, the first whitetail I killed with Dad in Pike, county IL at age 15 lives on in my mind like it was yesterday. I think that really set my trajectory as a hunter. My favorite animal to hunt: For both of us it has always been whatever we are hunting at the time. We are fortunate to have hunted many different species and everyone is unique from bullfrogs to bears we love it all. My favorite place to hunt: Our home state of Colorado has to be our favorite and more specifically on our own ranch. So fortunate to be able to hunt multiple species from your backdoor from Waterfowl, Upland Game, Turkey, Whitetail and Mule deer, Elk, Bear, Antelope, Mountain lion as well as tons of Small Game. My best hunting memory: My first deer. I was able to shoot it with my dad years ago. My best hunting memory: For me besides any hunt with my husband and boys it has to be hunting with my dad. Learning from his vast knowledge and watching how he hunted was a lifelong lesson in how to do it right that I cherish and try to pass on to our boys. My favorite animal to hunt: Alaskan Yukon Moose in the rut. My best hunting memory: Shooting my largest archery mule deer on September 3, 2011. My wife and my best friend, which are my two favourite hunting partners, were with me. 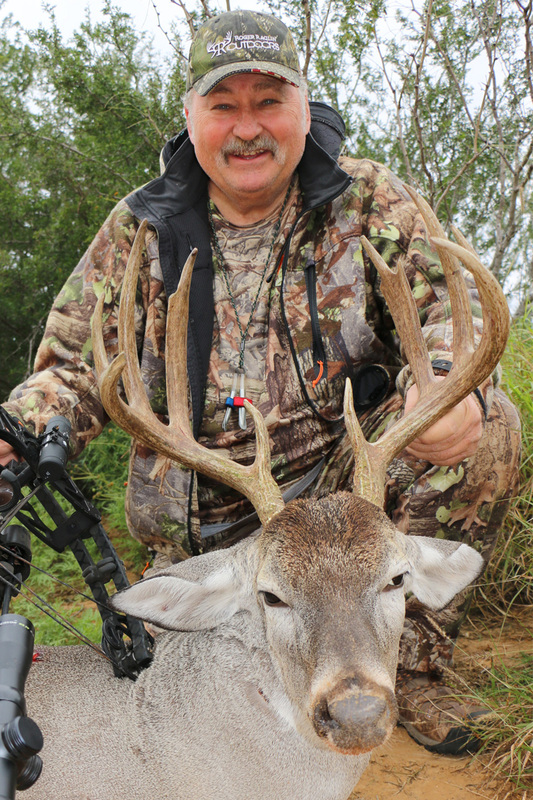 The hunt followed a fairy tale script, and the buck is now the “unofficial archery world record non-typical mule deer”. He scored 294”. It’s a day I will never forget. My favorite animal to hunt: A definite toss-up between Elk and Mule deer... I really don’t know if I could choose one or the other! Both are such an incredible adventure in different ways! My best hunting memory: My first Elk. Cody and I were both so out of our element on my first draw tag Elk hunt. We honestly didn’t have a clue what we were doing for the first few days. But after a week we got it figured out and called in a beautiful 6x6, away from his 30 cows. We were both so ramped up, we didn’t get any of the final stalk or the actual shot on video. After I shot him, I turned around to look at Cody and the video camera was lying in the grass behind him. It was such an over the top experience for both of us. It’s the only hunt we’ve ever done together that wasn’t documented on camera. 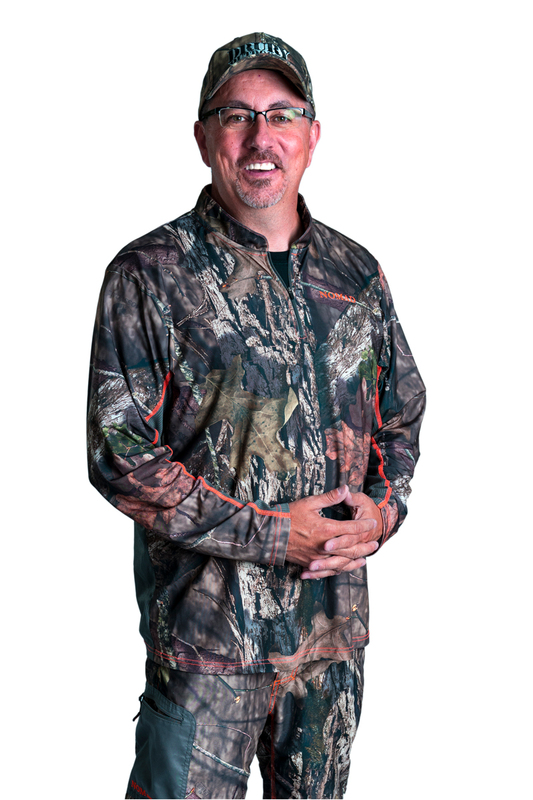 My favorite animal to hunt: My favorite animal to hunt is the Whitetail. Even though I’ve killed everything from sheep to muskox to moose with a bow I have never loved to hunt anything quite like a giant mature buck. Elk and spot and stalk mule deer are a very close second though! My favorite place to hunt: Man that’s a tough one because I love so many places for so many different reasons. If I had to pick one, I’d say Kansas mainly because the people in camp. I’ve been going to the same camp for almost 10 years and the people have become like family. What hunting is all about! My best hunting memory: I took my dad on his first Elk hunt. We were in New Mexico on a diy tent trip. We went out hiking the night before our season started and found some bulls right before dark. Long story short the next morning as it broke daylight, we were following the herd and waiting on the wind to stabilize. In 30 minutes my dad had killed a nice 6x6 and then 10 minutes later I called in the herd bull and shot my biggest bull ever. Truly a morning that we will never top or forget! Doubled up on Archery Bulls, my dads first and my biggest! Needless to say it was a long day of cutting and packing! My favorite animal to hunt: By far, my favourite animal to hunt is the Whitetail Deer. 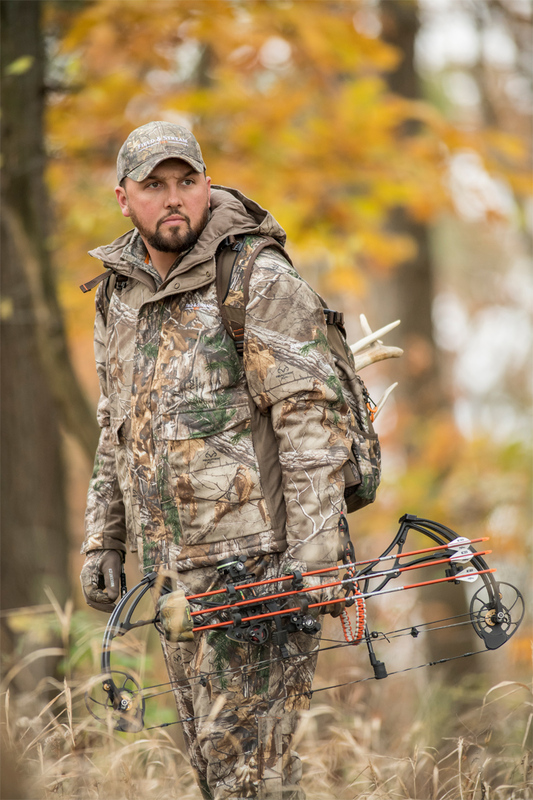 Although the most commonly found, and hunted big game animal in North America, the whitetail remains one of the most cunning and challenging hunts. 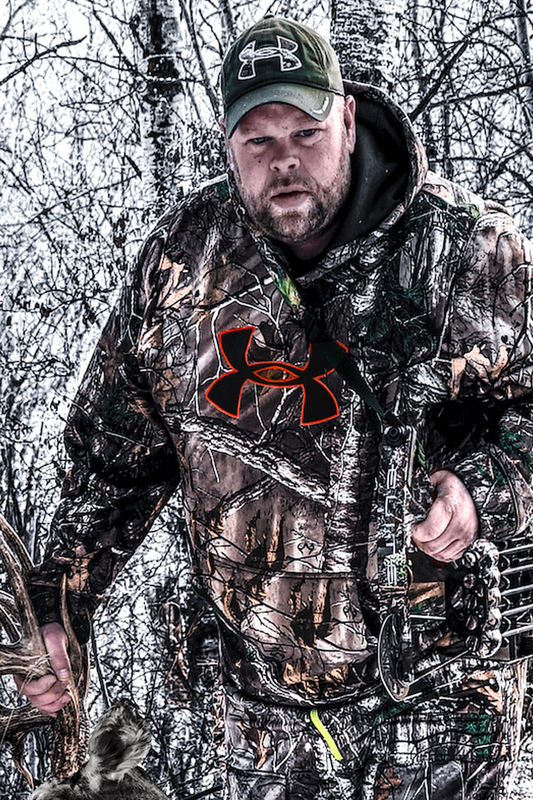 A big old whitetail buck is the undisputed king of difficult hunts. 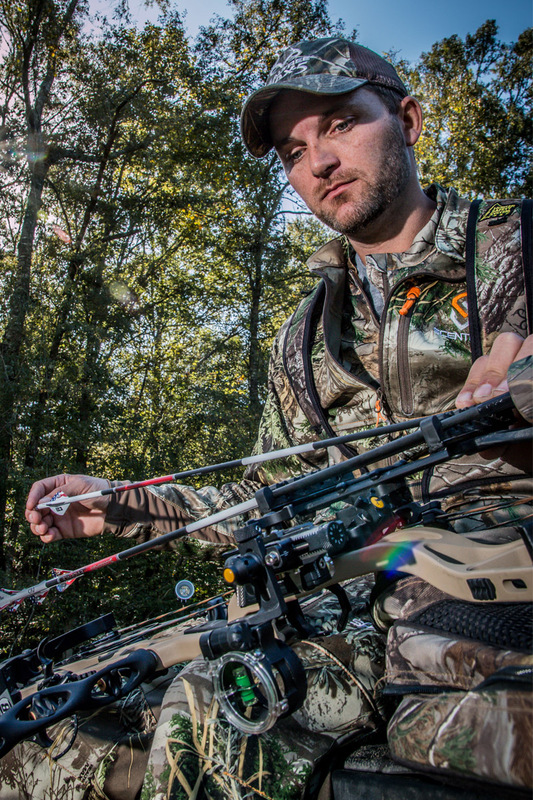 Hunting these bucks takes dedication, hard work and mental stamina to endure the twists and turns you might find while trying to accomplish your goals in the deer woods. These gorgeous animals are not only difficult to hunt and outsmart, but are equally impressive table fare. The Whitetail is an iconic north American game animal, it is also the animal most hunters pursued while learning to hunt, and has supplied many hunters not only with tall tales of the giant that got away but has also became a staple food for these hunters and their families. 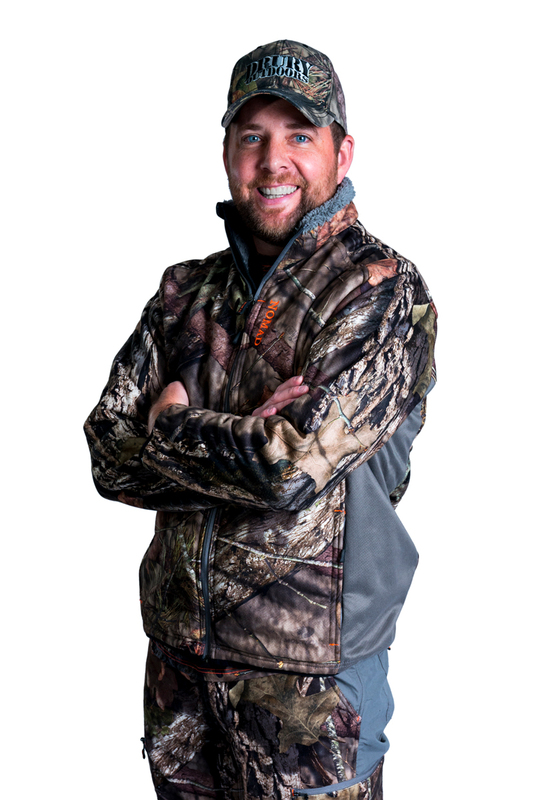 My favorite place to hunt: Being that my favourite animal to hunt are big old legendary whitetails, my favourite place to hunt is the Whitetail mecca- Saskatchewan Canada. Flat prairies, rolling creek banks and big timber all mixed with agriculture, the diversity of terrain and cover in Saskatchewan has created the perfect storm for whitetails to thrive. 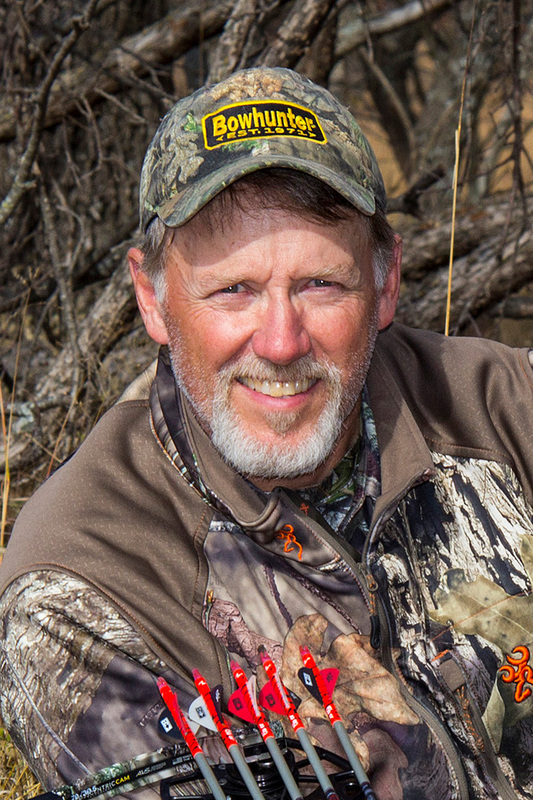 My best hunting memory: I have been so fortunate to hunt and take some of the biggest whitetails to walk the deer woods, but to this day my most fond hunting memory is my first deer hunt with Dad. The anticipation all year practicing, going scouting with my father, setting up a tree stand, and then the excitement that day when finally I was able to draw my bow on a deer for the first time could never be matched. The bond that was strengthened with my dad that night, the memories and lessons learned are things I have been able to carry through my life since then. My favorite animal to hunt: The whitetail deer. 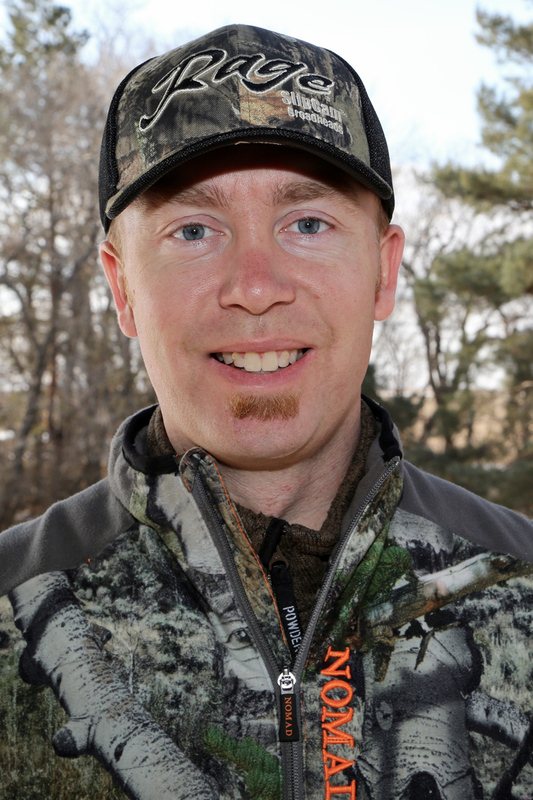 I’ve hunted whitetails in virtually every region of the country and in every scenario you can imagine. They can live on top of the mountains in Mexico to the frozen wastelands of the north country and thrive under any condition hot or cold. They can be found in the most remote backcountry of the rocky mountains and in the small woodlots of housing editions in Pittsburgh, Pennsylvania and every city across the U.S. They are simply a remarkable animal and an animal that anyone in the world can afford to hunt. They offer a challenge and thrill for every sportsman who desires to take off after them each fall. They are the working class American’s big game animal and I love them for it. My favorite place to hunt: It’s always the next one on the list. As long as I’m out there chasing wild game I’m happy where ever that is. If I just had to pick one place to hunt it would be Texas. There are more whitetail deer in Texas than anywhere else. And that says it all. My best hunting memory: When I took my first whitetail deer with a bow. And I wasn’t just a pup. I was 28 years old and had just gotten out of college and taken up bow hunting. When I ran an arrow through that doe at 15 yards it was the most exciting thing that I’d ever done in my life as a hunter. It set me on fire inside and that fire hasn’t stopped burning since. I’ve killed 15 Boone & Crockett class whitetail bucks and to this day I still consider that doe the greatest trophy deer I’ve ever taken. I killed over 200 trophy class whitetail bucks since then and that number will grow a bit after this next fall. You can just about count on it. My favorite animal to hunt: Hands down, it’s hard gobbling turkeys in the spring. My favorite place to hunt: Kansas for deer and turkey. My best hunting memory: Hmmmm so many good ones. I’d have to say the trips to Kansas with my family. Big bucks, great hunting, and great memories with family. My favorite animal to hunt: Turkeys. It’s just a way of life in the south. Been that way as long as I can remember. My favorite place to hunt: Around my house. When you can kill a nice rack buck around here you have done something. My best hunting memory: Would have to be killing a big bull Elk on public land in New Mexico. My favorite animal to hunt: Whitetail deer. Got a lot more of these jokers to chase down!! My favorite place to hunt: The Kingdom Ranch in Missouri. Nothing like seeing a big buck chasing a doe or a gobbling turkey in the hills of the Ozarks. My best hunting memory: Is my 5 year old son, Wes, killing his first turkey sitting in my lap.